Photography and Text By Philip Tulin & Mel Tulin © All rights reserved. What is the definition of the word, “Friend?” We looked up the definition in Webster’s Dictionary and it did not fit our concept of a friend. Is a friend someone who you have known for at least 10+ years? Is a friend someone who knows about you: your likes, dislikes, happiness, sadness, etc.? Is a friend someone who has gone to school with you? What are the qualifications of a friend? We think a friend is someone who has touched our lives and has made us better people in the end. We don’t know a lot about Kevin Murphy, other than the fact that he and his wife Gayl moved right down the road from us about 7 months ago. In fact, if we stand on our front steps, we can see their home. We don’t know where Kevin was born, where he lived or any other facts that you might know about a friend. But one of things that we did know about Kevin was that he loved a clean car. He probably had the cleanest car in Estes Park. Every time he drove by us, when we were out for a walk, his captivating smile would appear as he rolled down his window to say hello. We used to joke about how clean his car was… not a spot to be seen. He never told us his secret about how he dodged those extra large raindrops that frequently fall in Estes Park. Everyone’s car in Estes Park had rain drop spots or dust on the hood except Kevin’s car. We also know that Kevin cared more about everyone else than he did about himself. He was an early riser and he loved to take his dog, Abby, for a walk each morning. We are early risers, too, so we used to see him walking down the road just taking in the fresh air of Estes Park. He had moved here because he loved this place so much. And every morning, when he walked through his home, he looked through each and every window and would say, “Boy, am I the luckiest man in the world! What a wonderful place to live.” He purchased and redesigned the perfect home for himself and his wife, Gayl. He loved life and he loved Estes Park. If we drove by early enough in the morning, Kevin would be on his newly designed deck, looking out at Old Man Mountain. He never grew tired of looking at the beautiful view. We would have to stop as Kevin was always interested in what we were doing that morning, where we were going to hike and what we were going to photograph. Kevin was always more interested in what we were doing than talking about himself….and that made him a very special person. He was real. One day, when we hurried down to Ed’s Cantina to get the 5:00pm special, Kevin was eating dinner by himself as Gayl was visiting her daughter. “Come on over and join me,” he said. It was a delightful and at the end of the evening, we split up the check. The next morning, bright and early, he came by to give us two dollars that he figured out incorrectly. “Kept me up all night!” he said with a grin. And what a whistle! Kevin had the loudest whistle (and we don’t mean a plastic whistle). If he wanted to talk to you, he would stand on his deck and whistle between his teeth, the loudest whistle that we had ever heard. Gayl used to say to him, “Your mother would not approve of that!” But Kevin was a whistler… and whistle he would do. And after that whistle, that captivating smile would appear on his face. We loved to talk with Kevin as he always had some wisdom to share with us; he was such an interesting man. I (Philip) was walking down the road about 2 weeks ago and Kevin was standing on his deck. He whistled to me and I turned around and went over to his deck. “I photographed some Elk today. Do you want to see some of my photographs?” I said, “Of course,” and headed around to open the gate to his bottom deck. He came downstairs to greet me and I spent some time looking at all his photographs. He was really proud of the Bull Elk that he had photographed that day and he had done well. “You know that monopod…the one that gives you those great photographs? I was thinking that if I had that monopod, I would be able to photograph a little better.” I knew exactly what he was talking about. “I will be right back.” Kevin loved wildlife and he loved to use his camera. I walked back home, grabbed my monopod and went back to his house. He was like a little kid again. He placed his camera on the monopod, tried it and exclaimed, “This is a perfect monopod for me!” The monopod only weighed 1 pound and it would be very easy for him to carry around with his lightweight camera. I showed him where to purchase it online and we said goodbye. He was going to order it that day. But I forgot one thing… and Kevin was on his deck whistling to me the next day as I drove by. I had forgotten to mention the model number of the ballhead that was on the monopod. Kevin had researched it and said to me, “Is this the ballhead I should get with the monopod?” I smiled and said, “Yes,” as I drove away. Kevin order the monopod. I can’t remember if we even talked to Kevin ever again. We all thought that Kevin would live forever. He was never sick a day in his life, was a former Navy Seal, really loved to play golf and he walked every day. He never got to use his new monopod as it is sitting in his home in the unopened box that it was shipped in. Everyone who knew Kevin is going to miss him. We will… as his touched our lives and the lives of others who knew him. Our photograph in the newspaper today is dedicated to Kevin as we know he loved to photograph the Elk. Our thoughts go out to Gayl and her children as they will miss Kevin dearly. 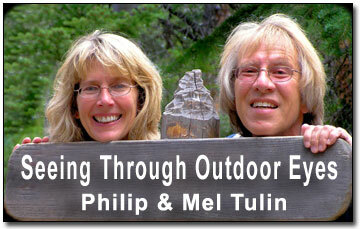 "Seeing Through Outdoor Eyes" articles are available for newspaper syndication. Please click the "Contact OE" link below to inquire about including the weekly articles in your newspaper. © 2000-2019 ImageNNetwork All rights reserved.